Take 42% off the entire book. Just enter code slsbarski into the discount code box at checkout at manning.com. 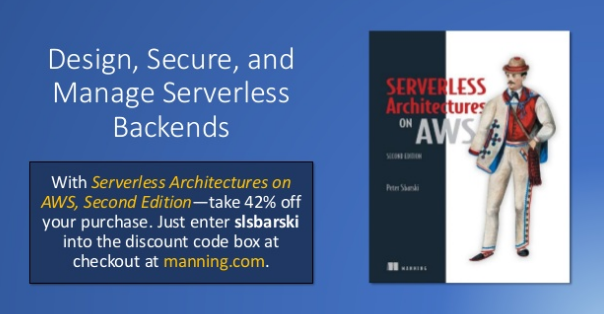 Serverless Architectures on AWS, Second Edition teaches you how to design, secure and manage serverless backends that can power the most demanding web and mobile apps! 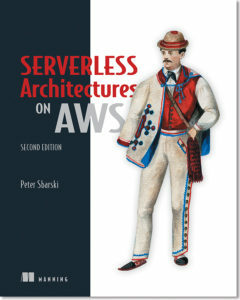 This new edition has been fully-updated to include new chapters on current best practices and innovative use-cases, along with full coverage of the latest changes to AWS. Learn more about the book in the slide deck below.